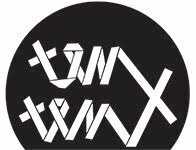 Ten x Ten 2015 kicks off Sunday, February 8 with a free afternoon lecture, Graphic Notation 101 featuring Jordan Martins and Katherine Young, at Spudnik Press Cooperative. The artists and musicians of Ten x Ten 2015 will also be in attendance. Since the early 20th century, artists have found inspiration in the pure abstraction of instrumental music. There has been a rich history of synaesthetic approaches to relating color to timbre and tonality in both scientific and highly subjective ways. More recently, music notation incorporating graphic elements outside of the traditional staff have served as a way to travel the territory between improvisation, chance operations, and non-traditional composition while negotiating the balance between the interpretive power of the performer and the single-sourced autonomy of the composer. 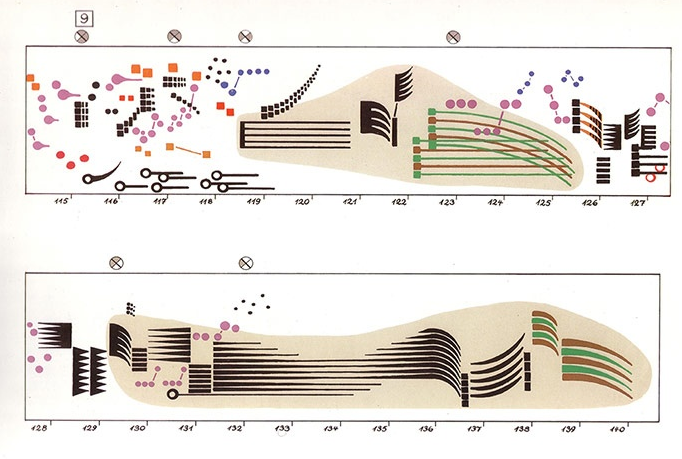 With the help of composer and bassoonist Katherine Young and visual artist and musician Jordan Martins, Graphic Notation 101 will explore the history of some of these practices as well at underline the compositional and interpretive techniques as play. This is the first of four opportunities to experience the eight-month process of creating the next Ten x Ten. Following the lecture, the Ten x Ten 2015 artists and musicians will meet their collaborators and begin developing their contribution to the project.